Dallas County’s new district attorney has announced he will no longer prosecute criminals who steal “necessary items” worth up to $750. The controversial announcement drew criticism from local business owners who are worried that the policy will encourage thieves to shoplift with impunity. 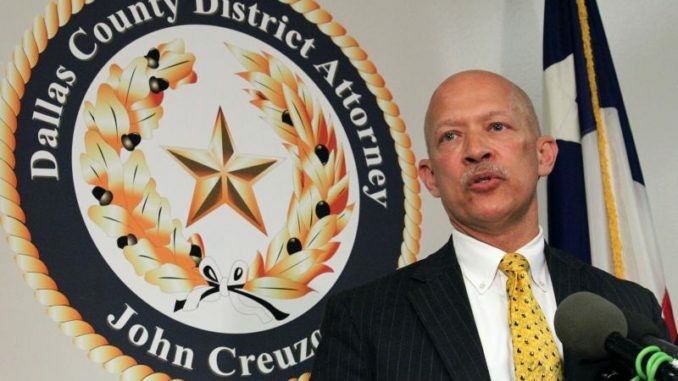 Fox4 reports: While the Dallas County District Attorney John Creuzot tried to clarify his new policy on Friday, some business owners are worried about what the DA’s new policy will mean for them. Cody Ellison and his business partner own three shops in the Bishop Arts District. The DA’s letter to the people of Dallas County does not sit well with him. “To have the thought of someone being able to come in and steal $750 from us and there be no consequence is unfathomable to me,” Ellison said. Ellison questions why the DA set such a high dollar amount for prosecution. “This is not a victimless crime,” he said. The district attorney tried to clarify his new policy. Jason Roberts is the owner of AJ Vagabonds in Bishop Arts. He supports the DA’s new policy. “I would hate to have the worst thing you’ve done be the flag for who you are as a human being for the rest of your life,” Roberts said. But business owners like Ellison hope the policy doesn’t encourage criminal behavior. The district attorney did say that his office is trying to partner with academic institutions to track crime numbers to see if the new policy is causing an increase in crime. Those numbers could prove hard to track though if people stop reporting the crimes. Next Next post: The Arrest Of Assange: Justice Or The End Of Independent Journalism?